With time running short, chances are, you barely have enough time to shop for gifts, much less wrap them. You’re in luck! Here’s are two quick and efficient methods for wrapping presents and preparing them for shipping. Dubbed the “Japanese Gift Wrapping Hack,” this method has been popularized by a number of YouTube videos. The above video, which has received over 12 million views, shows a seasoned retail employee at Takashimaya Department Store in Tokyo wrapping boxes in 12 seconds flat. 1. Start with pre-cut paper. Break free from the roll: The key to this technique is starting with a piece of pre-cut wrapping paper. 2. 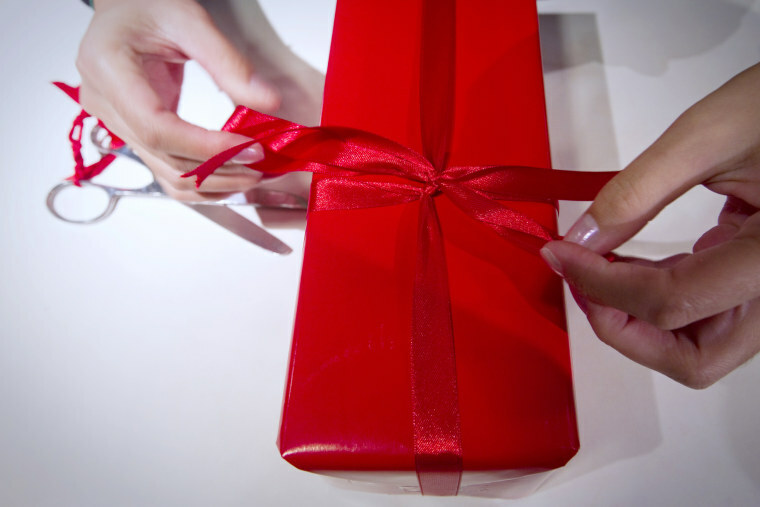 Place the gift in one corner: Once you have your paper cut, place the gift at an angle onto one corner of the sheet. Fold that corner up, then fold in its corresponding side. Secure with tape. 3. Flip the gift over: Starting from a corner allows you to wrap the entire gift at once. Simply fold over the rest of the paper, flipping the gift over in the process. 4. Tuck and tape: Tuck in the remaining corners, then secure with one final piece of tape. With a bit of practice, even a gift-wrapping novice can quickly become a pro. But if you want to take your presentation up a notch, lifestyle expert Julie Blanner recommends starting simple, then adding some fancy upgrades. If you’re packing your gift for shipping, use the nesting technique. Nesting gives you added protection, but be sure to insulate the inside box with packing material to ensure that it’s completely secure, Blanner said. You also want to use what shippers call the “H” method: tape all seams along the box so that the top and bottom form an “H” shape. You can also use a few finishing touches to make a utilitarian shipping box more festive. 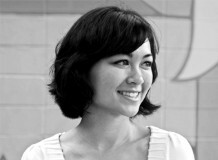 Kristin Wong is is a personal finance writer and journalist and NBCNews.com contributor. A former MSN correspondent, she regularly contributes to Bankrate and Lifehacker’s Two Cents website.